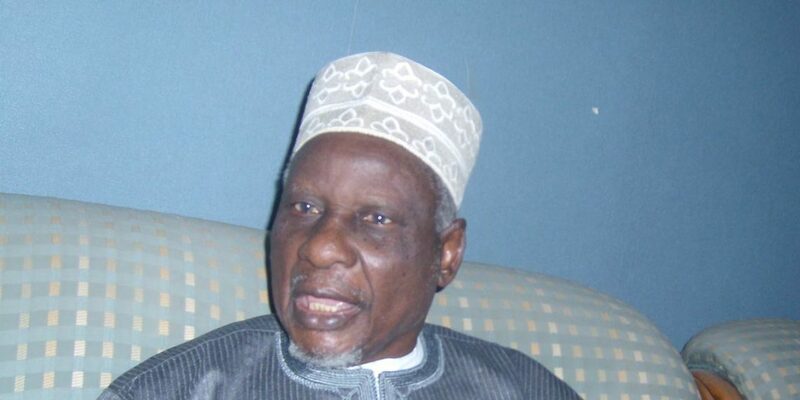 A founding member of Arewa Consultative Forum (ACF) and elder statesman, Tanko Yakasai, has tacitly endorsed the candidature of the Peoples Democratic Party (PDP), Alhaji Atiku Abubakar, and his running mate, Mr Peter Obi, ahead of 2091 presidential election. The 92-year-old politician spoke in Abuja, at the launch of a book entitled ‘The Coming Revolution: A Manifesto for National Greatness,” authored by Prof. Iyorwuese Hagher. Yakasai, who did not mention Atiku and Obi names, said it would be an opportunity for the North East and South East to have a taste of the proverbial national cake. “2019 would be a very important election in our history. It would afford a very good section of the country an opportunity to have its own share of the national cake. I’m talking about our brethren from the south eastern part of Nigeria. “There is also a section in the North that has never produced a president; that is the North East. It has produced a prime minister once. That was under a different constitution. The South East and North East have never produced a president for Nigeria. “If it happens that the running mate of Buhari is able to win the election after him, and if God grants him the wish of ruling for eight years, it may likely come back to the North East. If you add it up it would come to 20 years. “And it would go back to the South and anybody can win because it would be open to South East, South West and South-South. If by whatever reason power stays in the North, after the South West has ruled for eight years it would be 20. “It would go to the South and stay there for 8 years. 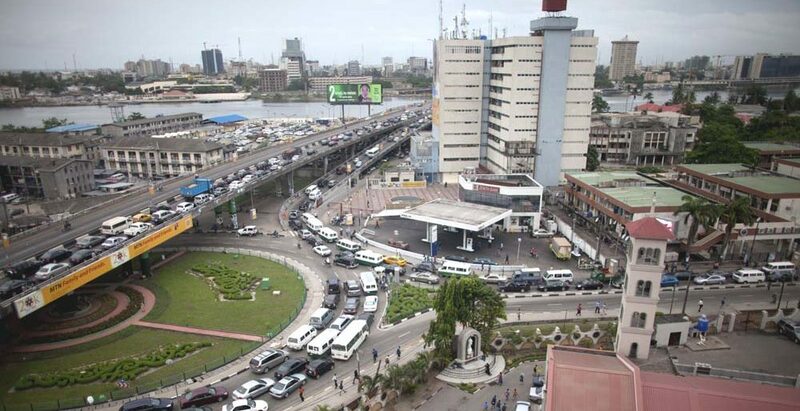 If it is the wish of God for the South East to get it, that is how long they will wait for it,” he added. Elder statesman, Alhaji Tanko Yakasai, has appealed to the Independent National Electoral Commission (INEC) to learn a few lessons from the Peoples Democratic Party (PDP) in the bid to conduct a free, fair, credible and transparent elections in 2019. He explained that there should be no excuse on the part of INEC not to conduct a credible , free and transparent exercise given the kind of logistics that have been made available to them while adding that “If a political party in the country can go this far, INEC can do even better. “I congratulate the winners and all the contestants of the Peoples Democratic Party (PDP) for the responsible way and manner they conducted themselves throughout the convention. Alhaji Tanko Yakasai, 92, a chip from the old block, served as President Shehu Shagari’s Liaison Officer to the National Assembly. In this interview, he reviews the state of the nation and critically dissects the arguments for restructuring. He submits that insinuations of northern objection to restructuring are unfounded upon the claim that the blueprint for the process has itself been etched on imaginations that have not been properly articulated. Yakasai also pooh-poohs moves to delineate the Middle Belt from the North saying that the concept of a Middle North toeing a separate political path as unrealistic. Yakasai who supported President Goodluck Jonathan against Muhammadu Buhari in the 2015 presidential election concludes by saying that his warnings that Buhari lacked five critical elements of leadership have crystallised for all to see. What is your evaluation of Nigeria in the past 12 months? By and large, I will say things were as they were before, except that at the end of the year, the price of crude oil has appreciated considerably, and that impacted on the economy of oil-producing countries including Nigeria. The result was that we got more money and this can be seen from the way our foreign reserve is now augmented; it’s higher than what it was before; otherwise everything is more or less the same. But in some cases, things were less than what they were a year before. How has the controversy of Buhari’s ill health, Biafran agitation, and agitation for restructuring affected our unity? As a matter of fact, I won’t say it had affected the polity very much because when President Buhari was sick, he delegated power to his deputy and he discharged his duty creditably, and I think the efforts by Professor Osinbajo at the time the President was away for treatment actually made things to improve, most especially if you look at the crisis in the Niger-Delta which actually led the Acting President to undertake a visit to the area, and as a result of that visit and the consultation he had with the stakeholders and opinion leaders, the crisis decreased. So the crisis in the area was reduced to the minimum. You remember the vandalism of pipelines to refineries and depots which affected the generation of power in the country during the crisis stabilised because of that deft move by the Acting President. That act made the governance within that period hitch-free when the President was away for treatment. Why is it that Nigerians still find it difficult to live together as one? No, no, Nigerians are living together as one without any difficulties. In all honesty, take a visit to Enugu and find out if there has been a clash between the host and their guest communities. Take another visit to Ibadan, Ogbomosho, Abeokuta or any part of South-West and find out whether there was any clash between the local people and guest community. Come to Kano, Katsina or Sokoto and other big cities in the north apart from areas where the insurgents have taken roots; you don’t find the local people having clashes with other Nigerians. Nigerians are living in peace with one another, and unfortunately, it is the elites who have access to the media that are creating a crisis which is non-existent. The issue of restructuring is a matter of public opinion especially for the elites who have access to the media and are generally the ones who are creating tension by speaking carelessly. The agitation for restructuring is an expression of personal opinion by the individual, and they are entitled to their opinion, and interestingly, most of those engaged in the shouting match on restructuring are doing it from the position of Northern phobia. Throughout the period dedicated to the debate, I have not seen a single northerner that was opposed to restructuring Nigeria. The only thing I know was that most people from the north ask for details, and until today, no one has come out with a clear blueprint on what restructuring is all about. We are in a democratic setting; we have provisions on how things should be done. What the north is simply asking for are the details. It is our legislators – both national and states – that are empowered to effect a change in our constitution, and there are clear positions on how many of them can do that legally. It is the right of an individual to initiate a bill through the legislator on any grey areas he or she wishes to effect a change, and as I speak to you from the time this debate resurfaced, to date, nobody has done anything in respect of that either to the state Assembly or National Assembly proposing whatever changes that he or she would like to introduce into the Constitution of Nigeria. They are intellectuals who are simply busy for nothing; because they have nothing to write about, they write to massage their ego, even though there are more pressing problems confronting Nigeria; the problem of poverty, unemployment, developmental programmes, good roads, sustained power supply, industrialisation, mechanisation of our agriculture, fertiliser, application of insecticides to check bumper harvests and nobody is talking about all the myriads of problems, yet, you are talking about restructuring, and not a proposal that would bring succor to the citizens. But why has the debate on restructuring refused to die since 1966? No, I’m a student dialectics. Find out the number of newspapers we have in Nigeria. Put together, how many copies do they produce in a day compared to the totality of Nigerians, and the percentage of those that read newspapers. From my findings, they are not up to 10 per cent; that is to say that 90 per cent of Nigerians don’t read newspapers, therefore all this noise on the pages of newspapers, and few in the radio with its technical reach, reaches out more to the communities than the newspapers; yet the debate is not on the radio, maybe in the television, but how many people watch television? Very very, few. So this exercise in futility by the elite does not affect ordinary Nigerians. But tell me, what has the debate done to Nigeria? Did it change their lifeclass, thought pattern and what have you? It is not the whole country that is involved. It is just a microscopic few who are not up to 10 per cent of the population of Nigeria who are busy misleading themselves. Don’t you think that your position is informed by your background as a northerner? No, no I’m not against restructuring, and I challenge anyone to produce a single northerner that is against restructuring. The simple fact about the debate is that we don’t know their definition of restructuring. You cannot oppose something blindly; you have to fully comprehend what the other man wants to enable you to decide whether you will key into it or jettison the idea as balderdash. The north is asking the proponents of restructuring for details to enable them to take an informed decision. The North reserves the right to be consulted by these few people because of the strength of their population and size because head or tail, they will be more affected, but instead, they choose to consult people from the imaginary zone they call Middle Belt. As the issue of the need to restructure Nigeria continues to dominate public discourse, Elder statesman, Alhaji Tanko Yakasai, has maintained his stand that the call was suspicious. In this interview with VINCENT KALU, the Chairman of the Northern Elders Council (NEC), said those agitating for restructuring have hidden agenda. He challenged them to come up with a blueprint on what restructuring is all about. In an interview with your co-elder statesman, Chief Ayo Adebanjo, he warned that if Nigeria is not restructured that there shouldn’t be 2019 general elections; that restructuring should precede 2019. What’s your view on this, do you subscribe to his position? Both Adebanjo and I, fought for the independence of Nigeria, and I’m older than him about two years, but we joined politics about the same time, some 35 years ago. At this age, you don’t negotiate with an ultimatum; you can’t give an issue an ultimatum. I’m not opposed to restructuring, and I have never heard that North was opposed to restructuring. However, my quarrel with those clamouring for restructuring is that they are yet to bring out the blueprint for it. What are the blueprints; why are those proponents of restructuring afraid of unfolding their agenda? They have a hidden agenda. Everybody is afraid of a hidden agenda. Why hidden agenda on this matter? This is a matter that affects the lives of all Nigerians. They should put it in black and white and what it should look like. Going back to regions, personally, I have no problem with that, because they started complaining that the North was so big and bigger than the two regions in the South put together. This is the creation of God. When the British came and conquered Nigeria, they didn’t know which side was South and which was North, they just started conquering one after the other. After conquering the South, they moved to the North. There is no issue, if you want us to go back to the three regions, so be it, but put it in black and white and let it be documented that this is what restructuring would look like. I know what they have and I know why they are hiding it, but I want them to come out with their own plans of how Nigeria would look like in their own conception and then we come out with our own position. We are not one person, we are people, and we can’t react in the same way, but each individual will then evaluate the situation. As long as Nigerians don’t understand what restructuring means, it cannot be meaningful to them. Even what Atiku and Babangida said is only in respect of devolution of powers, which is different from restructuring. Devolution of powers, there is no problem. What they said amounts to the devolution of powers. Devolution of powers is transferring items from the Exclusive List to the Concurrent List. There was a time the Kano State Government set up a committee during the constitutional amendment exercise, I presided over a subcommittee of that committee that dealt with the devolution, we also recommended some of the items that should be transferred to Concurrent List. Devolution of powers is a different thing from restructuring. If you look at the time of the old constitutional conferences in Nigeria, there were two things that are put into no-go areas. The first is the unity of Nigeria and the second is the federal arrangement of Nigeria. At the time of Sani Abacha, they didn’t say it black and white but at the time of Babangida, he put it there in black and white that you cannot discuss the issue of unity of Nigeria or the federal structure or arrangement of Nigeria. Those ones were the no-go area. Do you mean since the talk of restructuring started, there is yet to be a paper on how it is going to be? There are yet to come out with paper on how it is going to work. The clamour is suspicion and people are wondering why it is so difficult for them to come up with a blueprint on this matter that affects the future of every Nigerian. So, if you are advocating for something that affects the lives of Nigerians, why can’t you bring it in black and white in writing for people to see. Chief Adebanjo said Sardauna supported the Independent Constitution and queried whether you that are opposed to it, are more northerner than the late premier? I think there is a mistake there. We had three national figures – Dr Nnamdi Azikiwe, Chief Awolowo and Sardauna. At the 1953/54 Constitutional Conference, Zik went with the programme for a unitary form of government, which we were operating at that time. Even members of the National Assembly- House of Representatives were elected by state electoral college because it was unitary. After the conference, we adopted a federal constitution, which we are operating till today. The difference is that in those days, the regions had their own constitutions, but operated under a constitution that defined their certain powers in the national constitution. That is the difference. The national constitution didn’t give any region the power to secede from Nigeria. Secondly, it is not correct that 50 per cent of the revenue generated by the regions were given to them. The 50 per cent revenue given to the originator regions were in respect of mineral. It was the elements of ground rents and royalty of which 50 per cent were given to the originating region, as against what is obtained now that we give 13 per cent of the total revenue to the bearing state. The constitution we are operating now is the same constitution with the Independent and Republican Constitutions. If you go through those constitutions, you can see that the items on the Exclusive Lists now were the same then. What happened is that they created more states, that is, instead of three or four regions; they created 36 states, which we have been operating for more than 20 years now. In any case, that constitution he is talking about is what is in operation now. It has not changed; the only thing that has changed is the number of regions that had been replaced by states, from three to four regions and to 36 states now. We should respect the structures created by democracy in Nigeria. There is also the argument that the present constitution was forced down our throats by the military and does not represent the wishes of the people? We have been obeying the military, and nobody revolted against the military. Ayo is a lawyer, doesn’t he go to court? Who created the court, is it not the same constitution? Is it not the same military constitution that created the court? The court was created by the constitution done by the military. Why did he recognize it? The same constitution he doesn’t approve is the same constitution he operates with. You can’t choose one and deny the other. Anybody who doesn’t want the constitution promulgated by the military shouldn’t go to the court created by the same constitution. Rotimi Williams and Ben Nwabueze came up with the constitution that said, ‘we the people of Nigeria …’, and signed by Obasanjo. When the constitution was promulgated, Nwabueze didn’t go to protest, Ayo kept quiet, and I kept quiet and others. Nobody in Nigeria protested. Our leaders, Dr Nnamdi Azikiwe, Chief Awolowo, Malam Aminu Kano, and others accorded recognition to that constitution, they didn’t object to it because it was promulgated by the military, and therefore, they contested elections under the same constitution created by the military. The 1979 Constitution, equally promulgated by the military in the same way Abdulsalami signed the 1999 Constitution, and elections were conducted, where Obasanjo emerged, Yar’Adua emerged, Jonathan emerged. Why should we accept the result, why should we respect the National Assembly, states Assembly created by the same constitution promulgated by the military. An elder statesman, Alhaji Tanko Yakasai, has said the quit notice served to Ndigbo by northern youths and the refutation of grazing right to Fulani herders are unconstitutional. Yakasai said this while reacting to the ultimatum given to the Igbos by some Northern youths. In an interview with Daily Trust, Yakasai described the denial of Fulani herders from grazing their animals as an infringement on the constitution. He said, “I read the joint position paper by the Arewa Citizens Action for change. First of all, I believe there is only a Nigerian citizenship, as long as we have a Nigeria. It is a good beginning, but I think we needed a deeper and more serious examination of our situation, which I believe is overdue. He, therefore, opined that a meeting should be held for a call for action and with people from different disciplines coming together to discuss how to uplift the society. He pointed out, “A preparatory committee should be set up to define the objectives for the meeting. I for one never believed that Nigerians will be better off in separation. “I have been having this conviction right from 1953 and my position remains the same till today. But, it will be foolhardy to sit idly by in the face of one agitation after another. In a period of uncertainty, it is wrong to assume everything is normal. An elder statesman and leader of Northern Elders Council, Alhaji Tanko Yakasai, on Tuesday in Kano reaffirmed his earlier position against the restructuring of the country, contending that Nigeria will remain indivisible. While responding to questions on state of the nation in Kano on Tuesday, Yakasai maintained that despite the lingering agitation from some quarters for restructuring of the country, nobody, till date has come out with a blueprint to back up the restructuring. According to him, as long as no one comes out with a blueprint on restructuring of the country, he will continue to pitch his tent, with proponents for the unity, and stability of the country. However, he argued that if those agitating for the restructuring of the country came out with a convincing blueprint, he might choose to or not to support the agitation. He contended that the country would be a lot stronger, and a force to be reckoned with in sub-Saharan Africa if it remains an indivisible entity. “I do not speak for anybody but often freely express my views, like every other Nigerian, focusing on the unity and stability of the country and do not represent any group, which is the mindset of some misinformed Nigerians. 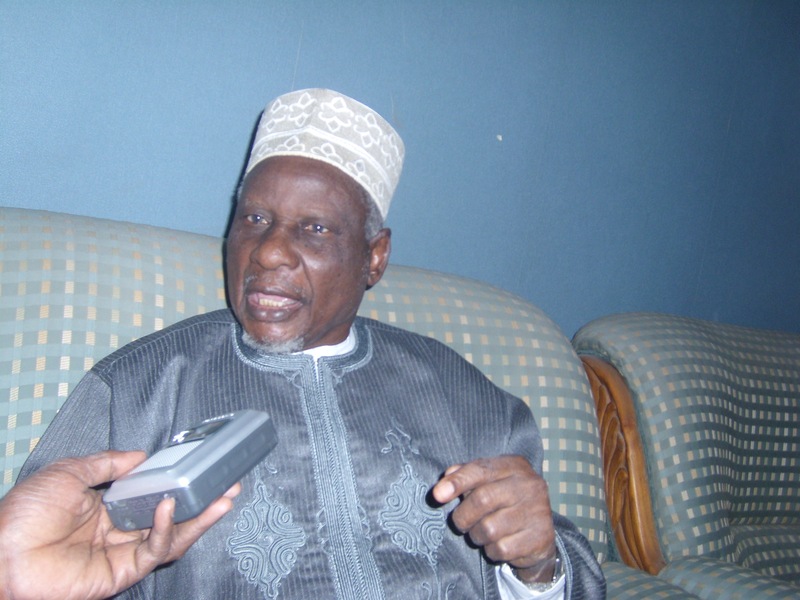 As leader of the Northern Elders Council, Yakasai stressed that the mission of the Council, among others, is to checkmate the reckless statements of other groups, like the Northern Elders’ Forum. Similarly, Yakasai disclosed that he does not belong to any political party, adding that he had resigned from the ANPP since 2001, so as not only to have absolute freedom of speech but to enjoy his fundamental human rights.